With an impressive EPA-estimated mileage of 40 mpg combined, the 2015 Mitsubishi Mirage was named one of the “Greenest Vehicles” of the year by the American Council for an Energy-Efficient Economy (ACEEE). The Mirage is powered by a 1.2-liter engine and a continuously variable automatic transmission. It is the only traditional gasoline-powered vehicle on the list, but it is clear to see that its engineering is anything but run-of-the-mill. 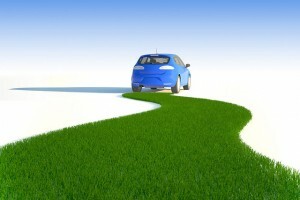 The hatchback provides impressive efficiency even among competing models using alternative fuels. This provides customers with the familiarity that comes with gasoline power while providing efficient travel and peace of mind in knowing the vehicle is environmentally friendly, even more so than some of the hybrid and electric vehicles on the list. “We are pleased to see our 2015 Mitsubishi Mirage named to the ACEEE’s ‘Greenest Vehicles’ list, and we look forward to launching more new innovative and affordably-priced environmentally-friendly vehicles in the future,” said Don Swearingen, executive vice president for Mitsubishi Motors North America. Available with a starting price of just $12,995, you can find the award-winning 2015 Mitsubishi Mirage here at Don Robinson Mitsubishi today.